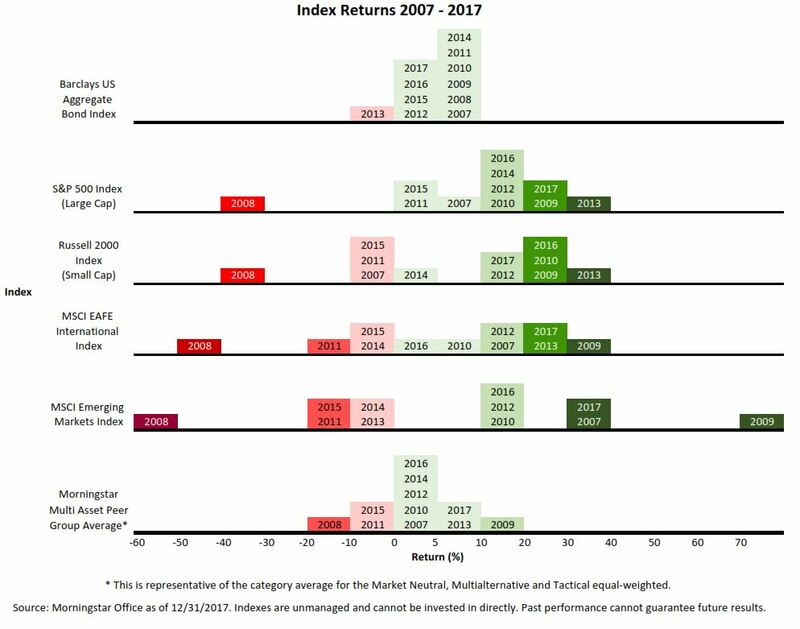 This chart does a great job illustrating the range of returns for most of the asset classes in which we invest. The Barclays US Aggregate represents the bond market and has the smallest range of returns. The next four indices represent various stock markets which have the largest range of returns. The final index represents our multi-asset strategies and has a slightly wider range than bonds, but a much smaller range than the stock market. The goal of the multi-asset strategies is to provide an investment stream that does not correlate to the stock market or the bond market. This return stream has been less volatile than stocks, and slightly more volatile than bonds.